Join us as we share the love of Jesus with our community. 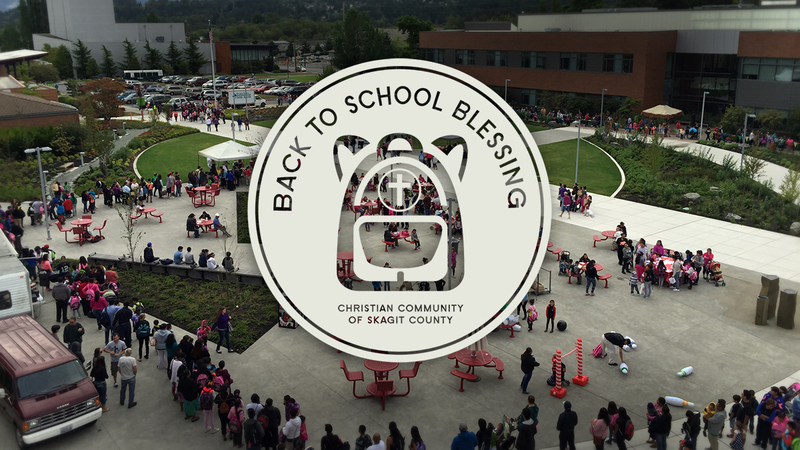 On Saturday, August 12, from 8am–12pm the annual Back to School Blessing event will take place at Skagit Valley College in their plaza on campus. This is a countywide partnership with local Christian churches who contribute their time, talents, and financial resources. In seeking to bless our community, we distribute backpacks and school supplies, clothes, food, provide a simple meal, and have various ministries and organizations present to help resource those in our community. If you have questions or would like more information, email info@bccmv.org.